Is a taxi still a taxi, or can anyone with a car be a professional driver? That’s a question a lot of people – not to mention government regulators – are asking themselves at a time when Uber and Lyft drivers seem to be everywhere. The premise behind these services is simple: download an app, add a sticker to your car, and then start making a little extra cash in your spare time. Doesn’t that sound like a good deal for everyone? Whether you realize it or not, taxi drivers have special training and licenses. In addition, they have to be registered in the areas they operate, insured against accidents, and maintain their vehicles meticulously. Obviously, part-time drivers who are looking to make money by driving their own cars don’t offer any of these assurances. For that reason, they are less likely to be prompt, professional, or even safe. With very few exceptions, taxi drivers around the country know the quickest route from Point A to Point B within their cities at any time of the day. And, they can still get you to your destination quickly even if traffic, accidents, or other factors cause your plans change. A part-time driver following a GPS on their phone isn’t going to have the same kind of efficiency or flexibility. 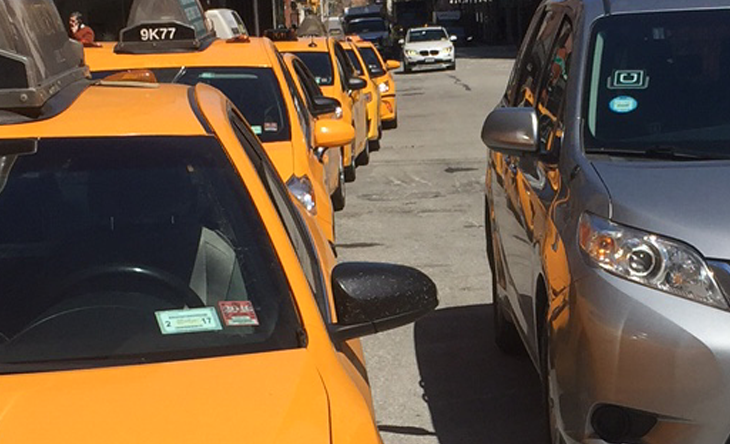 Taxi drivers can pull directly up to hotels, airports, and other high-traffic destinations because they have the right permits. And, they know how to get in and out of them faster. That means they can take you to or from any destination, something a personal driver with an app can’t duplicate. There are very specific laws about what taxi drivers can charge, when their meters can and can’t be running, and the conditions of their cabs along with safety features that must be present. Those regulations are there to protect you as a consumer, and to ensure your ride to safe and comfortable. Why give that up by stepping into the car of a stranger who isn’t abiding by the same restrictions? When you take a taxi, you’re helping to support local businesses, not to mention the drivers who depend on the income to feed their families. In contrast, much of the money you spend on a ride from Uber or Lyft goes to a corporation that isn’t involved in the community it’s supposed to serve. Who would you rather give your business, and your hard-earned dollars to? Because we feel so strongly that taxis are safer and superior to services that put passengers into the hands of recreational drivers, we’ve created an apt to help you get the lift you need. Try E-Hail by iTaxi today and see how easy and convenient it is to call a cab from anywhere!